Home » Business » Business plans » Business Partnerships: Your Best Bank Or Biggest Blunder? 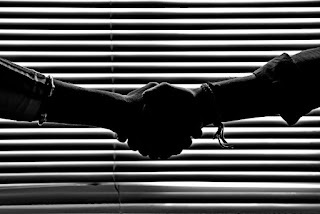 Business Partnerships: Your Best Bank Or Biggest Blunder? You do need to be careful when you enter a business partnership because it can either cause your profits to balloon or destroy your company finances. The outcomes could be that different, and of course, it all depends on who you actually get in bed with. You need to make sure that you making the right decision here, choosing a company that you can trust and who do have the potential to take you to the next level on the market. So, what do you need to think about when you do form a business partnership? First, do make sure that you have a cracking legal team to help you out here. It is important to understand that when you form a business partnership, you will be dependent on that company in some shape or form. The simplest example to look at would probably be a supplier. If you get a new supplier, you need to feel confident that they are going to continue to provide you with the items that you need. If you don’t get the materials, you will almost certainly face a loss, and if the contract isn’t ironclad, they can stop the supply without losing anything. Trust is beneficial in these types of transactions, but you should make sure that you are legally covered if it turns out you can’t trust your business partner to carry through with your deal. We strongly suggest that you also look at when your invoices are going to be paid. Ideally, you want these invoices to be paid as quickly as possible. If they are left hanging over your head, it will again, be your company carrying the loss here. A legal advisor can make sure that when you make the deal, your new partner would not dare to leave you in this type of position. You do need to make sure that the business you are forming a partnership with does have a solid reputation on the market. Some businesses like Mills CNC actually have built their business purely on a solid reputation, and this is exactly what you want when you choose to form a deal with a company. You need to know that you can depend on them completely. If you want the best info here, it’s best to head straight to the customers who have used the business before. Usually, there will be a list of companies that a business has worked with. So, you might be looking for a new marketing team. Check out the companies the service has provided marketing for and make sure that you like the results of their work. Finally, make sure that before you agree to make a deal with a business that they are easy to get a hold of. They should have various channels that you can use to contact them and get the support that you need. The last thing you want is to find that your business partner is missing in action when you need them the most.